World Championship tournament of Propilkki II will be played during March 2013. Deadline of registeration is at 15th of February 2013. Copy-paste -of the old rules (with minor changes). If there is need for subsequent changes, I will inform you about it. 3) Delays or changes in time-schedule are informed to captains as soon as possible. If there are some problems with technical things, connection, important family-things of the host, there might be some changes. Spare-host is Janne Procyon, or some other member of Team Procyon, but in all other cases it is me (Mikko). If e.g. Janne can’t host game, match will be scheduled to other day. AT 2013, IT IS HIGHLY POSSIBLE THAT OTHER HOSTS THAN MIKKO-PROCYON- EXISTS. HOWEVER, MIKKO OR JANNE WILL TRY TO JOIN THE MATCHES AS AN OFFICIAL REFEREE, IF NEEDED. 9) Games are planned to be played during MARCH 2013. Time-schedules are informed about 1 week before match. We will prefer playing during Mon- Thu. Weekends are too busy for the most of us (we are fishermen! ), except Sunday. 13) Latest release of the game (0.95) is used in the tournament. We have no trophies sponsored for this tournament. Just a title "World Championship"
e-mail - [email protected]. Skype - zoom11110. Most of the maps (at least 2 out of 4) are normal or all fishes games. There will be other game types too. The most common ones will be perch only, roach-like fishes only (the that includes breams, roaches and those silver fishes) and 5 biggest fish. Note! These game types are applied to lakes, where "the effect of luck" can be eliminated by using special game type. For example: Mustalampi, perch only - this will be possible and reasonable. In contrast, "Telkänlampi - 5 biggest fishes" - this will be impossible, because of too strong lucky-effect. If you are bothering, what types of lakes will be played? The list is quite long. I heavily underline that the LARGEST MAPS are the priority in the tournament. In those maps, player and team strategy is the key for winning, not the lucky start and "First on the hot spot". Looks like here are all the teams we have this time. I will pick up randomly teams to qualification round 1 League 1 & League 2 tomorrow (Saturday). I start this at 20.30-21.00 time of Finland. I will tell the results online in kalassa.net chat, propilkki.no shoutbox and all-fishing.ru shoutbox. ...for some reason this Scandinavian league and Eastern league is there again... However, good luck and let the best team win! Spare hosts will be Holssi and Jerchw. (Sendatkaa mulle teidän IP:t, jos ne ovat muotoa "eivät vaihdu joka päivä". Laitan IP tiedot menemään kapteeneille. Sopikaa keskenänne, kumpi on varahosti milloinkin, uskoisin että kahta ei tarvitse samalle päivälle). League I 26.2. Tuesday, 20.00 (host open 19.30). TIME OF FINLAND. League II 28.2. Thursday, 21.00 (host open 20.30). 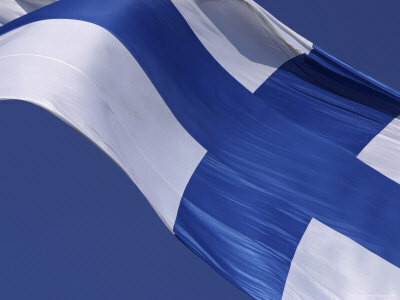 TIME OF FINLAND. Finals: not confirmed, but most probably 5.3. Tuesday. I will send IP's to captains + passwords during weekend. League I just started. First map is going on, Kuopionlahti, spring morning, all species. 12 minutes left. Soon we will have our first results. Kazakstan changed 2 players without any reason. This will not be allowed in the future. Please not that your 4 selected players are your team! There have to be a good reason for player change. After the change, there is no possibility to change them back! Second map is Koivusaaren matalikko, springtime, midday, only perch. 3rd map is Rautupuro, winter, morning, 5 biggest fishes. Last map is Mäntylahti, autumn, morning, normal. Very interesting round, all teams played nicely. See you in the finals! Qualification round - League II has just started. First lake is Saarijärvi, Only perch, spring, morning. 12 minutes left, then we have first results. Very interesting round, because ALL championship winners are playing in the same league. Next map is Linlonlahti, all species, winter, morning. Next map: Vuolasniva, autumn, morning, normal. Last map is Kuikansalmi, 5 biggest fishes, spring, midday. So in finals will play Russia, Belarus, Latvia and Ukraine. Finals will be played at next tuesday, I mail to captains details about it. Finals just started. First map is Jormuanlahti, spring, midday, only perch. Start area is Vaajalahti. 2nd map is: Siika-Valkeinen, winter, morning, normal. 3rd map is Iso-Söimi, autumn, morning, 5 biggest fishes. Last map is: Venetjoen tekojärvi, all species, spring, morning.